Modern Greetings is offering some amazing contests and prizes for the next couple weeks! You can find all of the instructions on how to enter in this video. It's simple, all you need to do, is tweet your proposal story, and you can enter to win 1 of 4, second honeymoons!! I am entering this contest myself, I don't really have a proposal story, but if I would win, I would re propose, to my husband myself and surprise him with a first second honeymoon! You can find more about Modern Greetings, and their awesome contests on Facebook and Twitter! I would love to hear if any of you won this contest!! What could be better then zombies coming after you and trying to attack, Perfectville, and a SWAT team with all kinds of weapons to fight the zombies to save the people of Perfectville? Ha! Not much! Especially considering the very cool amount of different zombies included in the game and the fact that you can play it on your phone?? 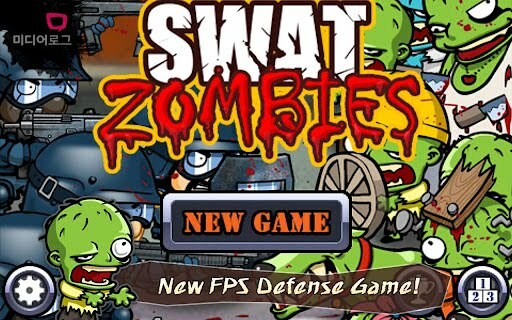 Well, SWAT and Zombies is actually a FREE app for your Android! That is very, very cool! I had no problems at all, installing this app, it runs very smooth, no glitches as of yet. I actually expected some with all of the graphics, which are also much better then expected. 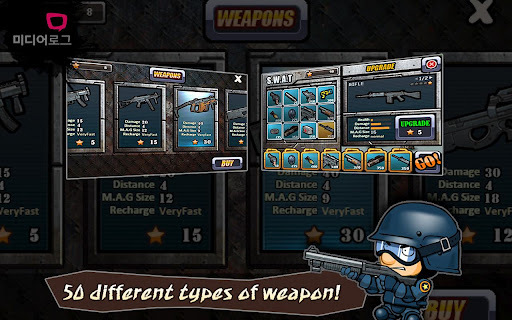 Gameplay is also super sweet, and the characters and weapons are better then you would expect for a free app. I also got some of this review from Aaron, my 9 year old, zombie hunting, little gamer. He says, "OMG! This game is so cool! OMG! Mom! Check out the girl zombies, lol, you would think they are easy to beat and they aren't!! ", and "Woah!! Check out all the coins I got! Sweet! I got 3 stars for this level! ", and "This is so awesome, mom! How old do I have to be to have a Smartphone so I don't have to watch your battery life?" Need I say more? Of course I don't think this game would be appropriate for all ages, but I do think that there is a line that needs to be drawn about violence in video games and weapons and kids, and even adults. Zombies are not real, (well, sometimes the way people act nowadays, I have to wonder anymore;), but yeah, for the most part, zombies are not an actual problem we have, therefore, killing zombies is not something I think my children will have an issue with in the future. Besides, who knows? Maybe they should be training for SWAT and Zombies? Seriously though, although I love family oriented and kid oriented games, books, toys, movies, etc, there are times that it is adult time and big people time. I do enjoy video games, and I do enjoy first person shooters, like Doom, for example, is an all time favorite of mine. However, of course I don't play these with my kids, jeez, I have no time to play them myself anymore, lol. But, I do have time to play this when it is so easily accessible, like on my cell phone. So, no, I do not recommend that your children play shooting games, but I would recommend this game for people who do enjoy these types of games, and I just feel as though I need to explain this sometimes, given the horrific news we see in this country and we are a family blog, but for grown ups, and even my 9 year old, (he's soon 10), I have no problems with this game. It has awesome sound effects, great graphics, and the game is fun to play. If you are an Android user, grab this one asap! I am not a person who likes to wallow and moan and cry about my sucky life, lol, mainly because it isn't so bad;) I would never trade it for anything! But there are times when it seems our bad luck just never ends. 2012 started out being a good year. In the 2nd week of January, we drove to The Children's Hospital of Philadelphia, with our then 1 year old, Deegan, for a 2nd opinion about his health and MRI's and other ridiculous test results. I know I might drive people crazy with my Deegan miracle story but I feel the need to share it sometimes, just in case we can reach somebody new once in a while;) the neurology department was nothing but courteous, friendly, and answered every single question we had and sure enough, told us to believe our instincts because they were real. I thought that at that point, we were in for the best year ever. This is me and my boyfriend Deegan. He has become quite the photographer with my new Smartphone! It really wasn't all that bad, and I know there have been so many families that have had much worse struggles this year. So, I kind of feel bad at any time I start to complain or feel sad about things, but hey, we all have to cry sometimes, right? Between our new (used but new to us), tractor trailer, (my husband is a self employed truck driver), needing tons and tons of repairs, and I am not talking nickel and diming us. No way! This thing has literally cost us as much as our home. Of course our house didn't cost us a fortune. We kind of lucked out on that deal, however, we are endlessly repairing this house too! But, our repair bills from this truck are very huge and we still have a balance since the truck always seems to be in the shop. It is right now as I am writing this post! But, see, we replaced the motor, which was a bit over $20k just by itself. So, we kept thinking, well, it's almost like new, what else could possibly go wrong?? No, we aren't made of money. Paying these repair bills off required payment arrangements with the shop, my husband working as often as the law allows, and me bartending every weekend and picking up as many hours as I can without having a babysitter. (My husband is my "babysitter" lol) Since my husband is self employed, yes, he gets paid more then a regular truck driver. Until you deduct the fuel, tolls, repairs, taxes, insurances, workers comp, and the list goes on. Our oldest daughter, Bethany, was expecting ur first grandbaby in 2012, and I was so excited about being a grandma, I decided to go ahead and finally get a tattoo that I wanted for years and years! I am a big horror movie fan, I have always been a horror fan, movies, books, shows, you name it! I especially have always loved Pinhead from Hellraiser. I had 1 tattoo before this one, actually it is our wedding rings:) (and NO, we didn't copy Tommy Lee and Pamela Anderson! Matter of fact, they copied us! We had ours done 1st!!) My husband has bunches of tattoos, and luckily has a super fascinating tattoo guy he frequents. (when his allowance covers it!) I have been after this guy to do a tattoo of Pinhead for years and he finally said he would do it. I love the way this artist sees! It's fun just to watch him work. It isn't complete yet, he will be doing the puzzle box at some point here, and I'm not sure of what else I am getting. Maybe some centobites or maybe other horror guys. Either way, I am more then pleased with the job he did. Whether you like Pinhead or not, you gotta admit, this is a fine tattoo;p (oh, it is on my back, I am a mom, and even though I have no problems with people having tattoos anywhere on their bodies, I can cover mine up to be presentable and not scare anybody! Alright, maybe 2012 was kind of cool... Well, it got very cool when our first granddaughter, Lillian Ainsley was born on June 30th!! She is such a precious little princess and her smiles and beautiful eyes just light up the room when she comes to visit. I was to be in the delivery room with my daughter, lol, her boyfriend almost passed out, haha! But as I waited impatiently for the nurse to get done chit chatting with her friend on the phone, my daughter gave birth to this little angel, and I walked in a few minutes afterward. Lillian was already a smiley little thing and it was just a wonderful day all around! About a month after Lillian was born, she was diagnosed with Downs Syndrome. This was a bit upsetting for our family, but we are so happy to have her! She is such a sweet little blessing! I am so proud of Bethany and Lillian's dad for being calm, cool and collected about the whole thing. Of course nobody wishes this on anybody, but hey, this is life and I firmly believe that God will never hand you more then you can deal with. Lillian is growing perfectly and she is exceeding many milestones and her health is pretty good. She does have some holes in her heart but they are expected to heal as she grows. Onto some of the bad news again.. 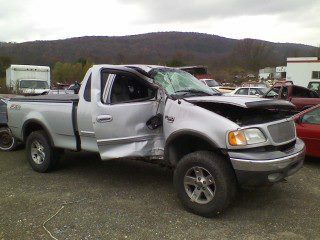 Many of you know about my accident I had a few months ago, I totaled ,my 2003 Ford F150, the love of my life! and I broke many, many, many bones, some of which will always ache, but finally, after a few months, I am almost fully recovered. This accident threw me back so far, something I am not used too. No matter how hard or bad it hurts, I always keep trying, which is actually quite foolish most of the time. But I am to stubborn. I also had worse luck with my RSD, which decided to spread to other parts of my body. This is a constant struggle and there is no cure as of yet, so this is always something that affects our family in some very big ways. I am always trying to find a way to gather enough money for some alternative treatments and hopefully soon, this will happen. In the meantime, I will deal with it as best I can, well I shouldn't say I will, because my kids and my husband and the rest of my family are all very supportive of me during this whole process. I also have been diagnosed with a few other things this year, including MS. Don't ask me about MS because I have no clue;) But I am hoping 2013 brings some good luck or answers or maybe effective treatments for all of it. ( I see my new rheumatologist in March) Other then these "main events", we had the typical bad luck as we always seem too. The constant dr appointments, extra bills that pop up just when you least expect them, and then of course, due to my accident and not being able to keep up with this blog, I lost many sponsors, authors, publishers, opportunities, a writing apprenticeship, and more. That has/had me in a slump for awhile, and I tried to explain to some, even offered proof, and apparently, it doesn't much matter. With some it did, but not with all. I am hoping to catch up in the next few days, which is a lot of work. But I have to do what I can to regain some of the trust I had with people and brands and businesses and of course, the authors of the books that we love to read and review and share. Aaron's grades have been awesome as usual. Although his stomach problems are still puzzling doctors and he still deals with acid reflux and missed school. My husband recently had to help find a home for his dad and has been dealing with his dad's bank, expenses, apartment, belongings, and visiting his dad. Unfortunately, there are some not so good things that will be following us into the new year, but I am also curious to see what else 2013 will bring! I have my neat o Pantech Android phone through Verizon, and plenty of times I have complaints about the annoying thing. lol! There are days it seems all I do is have problems with it, even though there are so many features I really do love! I just miss my old phone, apparently if it isn't a Smartphone, it is an artifact these days. So, of course I was forced into this Android in order to stay current on my family plan. One of my biggest gripes is of course my battery life, ugh! It seems like it dies 10 times faster then any other phone I ever used. I especially go crazy if I am talking on the phone, or texting or emailing a long message and without warning, it says, "shutting down" ! AAHH I don't know how many times this has happened while I am on Facebook, and I'm messaging somebody, and just like that, my phone dies. Some phones might have that warning up top, but when my phone is online, emails or Facebook, or even Twitter, that top part disappears and I have no idea what my percentage is at. I found this new app, Last Message, which is available for Androids 2.2 and higher. You can fnd this at the Google Play Store. Last Message, lets you connect to your Twitter, gmail, or Facebook, or this is my favorite part... you can set this for your contacts in your phone! If you were texting somebody, and your phone just shuts down, (like mine, several times a day), you can set your own message to send directly to that person to let them know what happened! I love it! It also actually works, and is very quick and painless to set up. It has been a long time since I found an app that is something I am going to be using pretty often. Most of the time I have several apps to clear out of my phone since they don't usually do anything I will ever need. Last Message is one I will use and will need. It will be surviving my monthly app cleaning sweeps too. 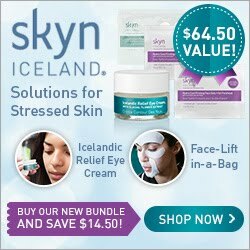 As a lot of you already know, I am a die hard eye cream fan! I always have been, I think I kind of thought that if I would take care of everything when I was very young, I wouldn't ever have to worry about any wrinkles, crows feet, laugh lines, fine lines, dark circles or puffy eyes. But as I got a bit older, I see that it didn't keep them away completely. (I'm not really looking my age quite yet, but I am fearing the day I wake up and look 10 years younger in just 1 night!). So, any new serums, creams, any anti aging discoveries are fascinating to me and I try to read up on this as much as possible. I applied to try Elite Serum, and was delighted to receive a, "yes!" reply. I fall in love with any good product, especially skin care, or body care items, anything that will help me or anybody, look and feel our best. I rarely find a product that gives almost immediate results. I did find a few of these super special, amazing treats that really do something like make me say, "Oh wow!! It doesn't just mask the absence of results by making my skin feel baby soft and smell pretty!" Yes, there are some products out there that kind of make you think it is doing something just by the way your skin might feel. Which isn't that bad, especially if you are simply going after a "feeling" rather then actual real time results. I have a giant sense of humor, maybe an odd one, but I laugh at lots of things and little things make me happy, so I am often smiling or cracking up over something. So, one thing I have noticed is I do have those annoying expression type lines that pop up a bit more nowadays when I'm giggling at everything like I'm 7 lol. Some people think those are ok, I think they are a tiny bit ok, but when I am a grandma and I am trying to at least halfway clear up my skin, and the signs of aging, it would be nice to see them halfway disappear. I have seen a pretty fair difference after using this product for a few weeks. It is simple to use and comes with it's own little massaging tip for the serum!! I also see a difference in the skin around my eyes being a bit more firm. I haven't been using this serum long enough to have to grab a refill, but when I am out, this is something I will go grab again. 1 container should last you about 45 days, which is pretty accurate. I also like the prices they offer. Do you need another reason to love this product? Elite Serum is made in the USA!! formulated using a combination of unique DNA precursor pool peptides. of fine lines, dark circles, crow's feet and puffiness around the eyes. elasticity while restoring a youthful looking eye contour for users of all ages. Please leave any comments about your experience with this product or if you think this is something you would like to try! I know we all have crazy stories of sticky, messy situations! For some of us, this happens everyday! I know it does here, lol, we have the 3 little ones, running around, not caring at all what may drop or spill or fall or get dumped. Most of the time, these little guys, seem to find lots of amusement with all of this and think it is so funny and so cool, when Deegan, their 2 year old brother, makes the biggest mess I swear I have ever seen! This is pretty much everyday, now that I think about it. Matter of fact, I just had to stop from writing this post, so I could clean peanut butter from the living room wall! Unbelievable, the things these kids get into. The craziest part is, they all sit and laugh at most of this and look like they are having the times of their lives. Just last week, I was doing dishes, and didn't hear a peep out of Deegan for a couple minutes. (This is how we always know they are up to no good! ), so I went through the house, preparing myself for the worst, when I heard a giggle coming from the bathroom. OMG! I forgot to make sure the door was shut properly! This is something I always have to double check because it is always left open, just a little, and since Deegan looks for this, it is always my top priority to make sure the bathroom door is shut the wole way. Anyway, I had to break in with our key, (since he loves to lock us out), and sure enough, there he was, with his toothbrush and toothpaste all over his face and his hair. Cute, huh? No, not when I looked and saw that the toothpaste was also all over the floor, toilet, sink, walls, and his clothing. But he is just to cute with those big dimples, and he loves to brush his teeth so much. So, I took him and stuck him in the laundry room, so I could gather my thoughts and scrub the bathroom. Well that was a HUGE mistake! About 5 minutes later, I found him in the kitchen, with my cell phone, taking pictures of himself and now he had chocolate all over his face, hair and my phone! I can't ever leave this one alone for more then 30 seconds! He is always on the lookout for something he can get into, and he really loves the admiration and giggles from Genevive, and Aaron. I would love to hear any sticky situations you and your little ones have had! I always love comments, but there is something even better this time! 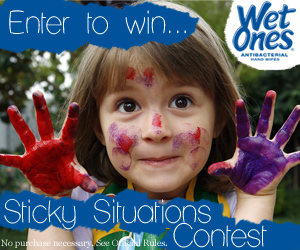 Wet Ones is giving us the opportunity to share our sticky situations that we have found ourselves in, along with any tips you may have, through their Facebook contest! I just entered and it was super easy! You could win an iPad mini or Six Flags tickets!! The holidays area fun time to spend with family and friends, have parties, travel, shop, cook and bake, and we all have so many traditions and fun times we share, even if it is just simple. The holiday season to me, seems fairly long, (well, especially with the little ones home from school and all of the bickering and fussing lol! I start to wish they were going back to school for just a few more days!) Really, I enjoy every minute with my family, no matter how chaotic or nutty, it sure is never boring! My big issue is trying my best to keep these little guys occupied. It may seem simple at first, I devise a whole plan for each day, and as long as everything goes well, we have a themed night. We have a craft hutch, yes, it is literally a craft hutch filled to the brim with crayons, stickers, paints, paper, ribbons, googly eyes, popsicle sticks, it is a bit ridiculous! It also drives me nuts since I am the one who has to clean this out almost everyday. I also have lots of crafts and things upstairs in a cubby hole. These are the things they can not take, only me or their dad. It's all the school supplies and arts and crafts I find throughout the year to replace all of the broken crayons, and used up glue sticks, etc etc. These kids will color and lay games 24 hours a day if they could, and never, ever get bored! Of course, I run out of ideas and things and I found a special secret online! Printable coloring pages and games and worksheets! I hoard these like crazy and keep a folder with a few copies of each and when I am running low, I simply make more copies! I found these neat o Christmas printables, which are super cute! You can get 60 printables, for just $19.95, which comes to about 33 cents each. Another cool thing about these printable games, is, they are not just for kids. If you are having holiday parties, any kind of family gatherings, there are some fun games in here you could use for entertainment that would be fitting for the whole family. Of course you can add prizes, and add your own special flair to create new tradition, something everybody will look forward to each year. When you make your purchase here, you will receive an email with your special link, to download in PDF format. You will have them forever, because there are no time limits, or subscription fees at all. Once you buy them, they are yours! I am a big fan of anything odd, unique, different, anything that isn't real mainstream. That's with everything, music, books, movies, clothing, and jewelry. I was really, really anxious for this review and felt like a little kid waiting for Christmas! I was also pretty impressed that Pamela Anderson, wears pieces from NanoStyle, specifically the same necklace I was expecting, so that was also very cool. I had already seen the pictures, and believe me, the pictures really do not show how gorgeous this pendant is in person! Genevive, our 5 year old, who is also a princess, screeched, "OOOHH Mommy!! It is so pretty!! ", while her eyeballs popped out of her head:) We were so careful with it, and even grabbed some hand sanitizer before we used the tiny magnifying glass, so we could read all of the 120 "I Love You's" that are inscribed in this pendant. I forgot to mention all about that! The "I Love You" pendant, has "I Love You" , written in 120 languages, and it is engraved in 24 karat gold! As if the black onyx wasn't enough, or the gold heart in the center! Or the magnifying glass that comes with each piece! I wore this pendant to work a couple times, not to many because I bartend on the weekends and I was afraid it would get lost in a beer cooler or in the parking lot. I didn't have that problem at al though as I have had with other necklaces and rings. This is made very well, and has a strong, high quality chain attached so it wasn't going anywhere. I was just worried because it probably is one of the prettiest pieces of jewelry I have, but I couldn't help but show it off. I have gotten so many compliments on my pendant! At work, even at the grocery store! Especially from my little princess, it really catches the eye and can fit and match with anything you wear. NanoStyle even lets you choose what chain you would like, and you can even choose your own metal! Of course the stone is black onyx, which has always been a favorite of mine! And Genevive's favorite, the teeny, tiny magnifying glass, comes with your pendant. This is certainly not the only stunning pendant or even piece of jewelery, NanoStyle, has to offer. They have a whole line of exclusive 24k gold inscribed jewelry. Yes, they all will have your very own mini magnifying glass too! They also have Zodiac jewelry, Jewish jewelry, Christian jewelry, Symbolic jewelry, and a lot more. NanoStyle also offers free shipping and a 60 day money back guarantee! You can also find NanoStyle on Facebook!! I am so thankful for Smartphones and all of these apps that are available, especially the ones that are created for busy moms and busy people in general. When I Did, is a very cool app that allows you to keep track of everything you need, at any time! It is very easy to use, even for people like me who don't know their way around a Smartphone. (yes, I have had mine since August, and I am still stuck on almost everything) I do have several tablets, planners, to do lists, all of my lists kind of take over everything sometimes, and if a kid isn't writing over top everything, or destroying it, I spill coffee on 1 or 2 or I end up re writing it and throwing away a piece of paper that had something important on. So, yes, I want nothing more then to be more organized!! I have some neat planners I have found, and I have to much to write in the little squares, that I have 4 different planners, 1 for work schedules, 1 for computer schedules, 1 for to do lists and 1 for doctor appointments, birthday parties, and all the fun school stuff. For me, it is very annoying to have so many and if I could have 1 less, I am super happy. I would recommend this app for anybody who has something they need to keep track of. This isn't just for busy moms, and busy families. When I Did, can help keep track of your dieting, what you had for lunch, snacks, dinner, how much time you spent jogging, at the gym, during workouts, it's pretty much endless. Another cool thing I have to point out with this app, is that you are in control of categories, and how many, and titles! This is my favorite part!! I don't know how many times I used a planner, whether digital or paper, and even an app, (this is the 3rd I have tried, and now my last:), where they already pre created your list of what is important to you. I always either have to rename them and remember, or scribble it out if it's on paper, and I hate sloppiness. I am constantly re writing to do lists and things when I make a mistake. You can grab this app at The Google Play Store. I would love to hear your ideas! What do you keep track of? Have you used this app? How does it compare with other ways of keeping your busy schedules, not so busy and hectic? I was more then pleased with this book. It isn't very often that a book with less then 20 pages, that isn't a children's book, really grabs my attention and ends up being one of the most original stories I ever read. My only complaint would be that I would love an actual mini series or possibly a new book with a lot more pages! This has a lot of potential to be a super mystery, detective, science fiction, and everything in between, novel. It amazes me that this author was able to create such a unique story, (this is something you don't see so often anymore), and introduce so many characters, give short descriptions of backgrounds, the plot, thoroughly explain what is happening, answer your questions, and deliver such a magnificent ending, in less then 20 pages. Of course I understand the reason behind the short story, after all, it is a short story, but inside, I am wondering or maybe it's more along the lines of hoping, that this was released to see what we would think and that maybe there is a best seller coming our way in a year... hint hint!! I am a big horror, action, science fiction, creepy, mystery, crime, fan, and I read and watch a ton in this genre. This is truly something that had me on edge and dreading the little arrows on the bottom of the screen when I saw I hit the double digits. I agree with the reviewer who stated that, The Unfinished, reminded them of, The Twilight Zone. I have seen every Rod Serling story, at least 20 times each and still record them on my DVR, lol. The Unfinished would be an episode he would be proud of. I recommend this book to all scifi fans, any fans of The Twilight Zone, and please, if we get enough people to read and post their thoughts, maybe we can persuade the author to give us more! You can buy this book on Smashwords. So, of course being a busy mom, and never having enough time to do anything or finish any to do list, I had so many high hopes for this app, Pay Dragon. Pay Dragon is an app for your Android, or iPhone, that allows you to scan a bar code from any non perishable items you have in your home, and will allow you to quickly order that item from your phone, with just 1 click! Sounds pretty awesome, right? Indeed it does! Pay Dragon also offers free 2 day shipping, and even if the price of the product you are ordering seems a little high, remember to add in the fact that you are saving gas and time also!! Pay Dragon is a free app, and you are never obligated to make a purchase of course, but at least you know it's there just in case you need it. For instance, I had a terrible vehicle accident and I am still not able to drive, basically, my whole right side was smashed, several broken bones, etc, and of course my truck was totaled. ( I know many of you know about this and I am still not very good at typing, but 1 day soon, I will be back to normal and will share the story:) Anyway, for me living in a rural area, with small kiddos, and our nearest grocery store is 20 minutes away, this is the kind of thing I am in need of! More so since my accident. It is rough having to rely on others to run you around, and luckily, I have a wonderful husband who works like crazy all week, but still gets me to the stores on the weekends. there are still times when I kind of need something and I am out or don't have enough. When I make up our menus, and figure out school lunches, the kids snack days at school, and things for my husbands lunches, I am usually pretty good with getting things on my list, grabbing the coupons and getting what we need. But even people like me run out and sometimes forget, and this is where I was anxious to use, Pay Dragon. I used this app now for a few weeks, and I have some complaints, but I wouldn't let this affect my decision to install this app and use it for yourself. Maybe it is just me and the things I can not find, so, I would still give it a try, mainly since it is free after all! Who knows? I am sure a lot of the quirks and things will be fixed and this app has some potential to be one of the most helpful apps on the market! For starters, I am a regular mom, with a regular family, we use the same brands and products that most other families use. For 3 weeks, I have been scanning bar codes with this app, and I continue to get the message, "Sorry, this item is out of stock" however, they will let you submit the item, and they will contact you when it is back in stock. I would say, for the time I have been using this app, I am only able to find 1 out of every 25 bar codes I scanned. these are not goofy products that are super rare or anything, they are things like, Crispix cereal, Skintimate shave gel, Suave body wash, boxes of jello products, Method cleaners, Maxwell House coffee, Coffeemate cream, Chex Mix, Lucky Charms, Duncan Hines cake mix, Betty Crocker icing, Lysol cleaning wipes, Carpet Fresh, just regular everyday, random, items. But for the whole time, they have been, "out of stock". I understand that while having over 5000 non perishable items available, and maybe just a whole lot of people ordering these regular products, maybe this is why. But it has been a few weeks that I randomly check bar codes, just in case I find 1 I need that is available to ship. Next issue, some products are only available in larger quantity. For example, Coffeemate, the largest size, (yes, lol, I LOVE Coffeemate and we go through a LOT of it!! ), are only available in sets of 4. Which is fine, and of course I sometimes buy by the case, but I already do this through other websites, and at the store. But once in a while, I just need 1! Maybe I don't have $40 available that day, but I have $10 available and I just want 1. I don't see this as a major problem, I just hope in the future, they change this to options, "Would you like 1?" or "Would you like this by the case?" Next issue I have are the prices. I did keep in mind the price of gas, the fact that it is more about being convenient, rather then saving money. But, the prices are very high on most products. One of the few things that was readily available to be shipped to me, was a bag of Goldfish Flavor Blasted Pizza Crackers. These are something we use a lot! The kids love them and I can usually get these for well under $3, actually, these are often on sale for 3 for $5 or 2 for $4. That is when I stock up. But with this app, they are just a few cents under $4 a bag. I doubt I will ever order for that price, ever. Other sites that offer groceries, non perishables, at discounted prices or have sales, have better prices, on the bar codes I have scanned! This may not apply to everybody, and I live in PA, so maybe we just have way better prices on groceries and sales? I don't know, so I would still recommend giving this app a try! Oh, the other price I wanted to bring up was for Suave body wash. For just 1 regular old size, Suave body wash, it was over $5. Now, if you are a coupon shopper, you know these are rarely more then $2, and sometimes almost free with coupons and sales. There again, one of the only products available, but I can't afford to pay that much. Next thing is not really an issue, perhaps more of a warning. Pay Dragon does offer free 2 day shipping, however, this isn't saying, free shipping. You will pay for shipping, taxes of course, but just know that when they say free 2 day shipping, it really only means that the 2 day part of the shipping is free. No, I am not accusing them of anything, they never claimed, free shipping, just free 2 day shipping. Again, this may still be useful for some people and very well could be a great deal. Another thing I would like to add for Pay Dragon, is it would be very cool if when somebody orders more then 1 item, you would discount the shipping fees. I understand it is only a few cents, but for somebody who is really going to use this service and they are ordering more then 5 items at a time, maybe you could offer a discount? Some pluses, I couldn't use these good parts myself, yet, but they do have a very nice referral system set up. You can get discounts for referring friends and you earn points for orders and Pay Dragon will offer discounts from 1.5% to 5%! I will be keeping this app in my phone, and I will be hoping for some changes and I am not holding anything against them, After all, this is a service I would use all the time!! But I can't bring myself to pay these prices for most products, and I wish I could see what is available since most of what we use and need are not available. Have you used this app? You can find Pay Dragon on Facebook!! Heroes, Mentors and Friends: Learning from our Spiritual Guides by John Dowd Jr. I do consider myself a pretty spiritual person, and I try my best to teach my children to be the same. I do believe in miracles, and I am a firm believer that everything happens for a reason. I was happy to receive a book such as this one to read and post my review for, since I do agree with, John Dowd Jr on many levels. As a book, this is well written and straight to the point. While reading this book, it reminds you of a phone call or a conversation with a good friend or big sister, mom, grandma, whoever it is in your life that you look up to, as say, a mentor, or a friend. I do wish it would have been a little longer, but for a good weekend read with some coffee and cookies, (Yum! ), this is the perfect length! So, I will just point out that I would like to see more books from this author, since this is his first book. Heroes, Mentors and Friends, is about just that. I like the way he describes each of these words and their meanings, very easy to understand and if you are usually somebody who appreciates the people win your life who have inspired you and helped you through rough times, through good times, and have influenced you and the way you do whatever it is you do, it is nice to have this all reaffirmed. A hero for instance, is one who will inspire you to go beyond what you think you can do. Possibly sports heroes, scientists, artists, or doctors. A mentor is, through experience, help us stay grounded and on the right track. A hero who interacts with us. Friends are, angels who encourage us and applaud our accomplishments, big or small. I am sure you can already think of several people throughout your life that can fit in these categories. One of my favorite parts of this book, was when the author touched on, forgiveness. This was recently something I believe I needed a lesson in, again, and this book kind of came right at the appropriate time. I do always try my best to find the reasons behind everything, and this was indeed why I read this book. Why don't we forgive easily? Why do we cause ourselves so much pain and added stress? is is merely because of ego? The author does an extraordinary job explaining forgiveness, and why it is needed. This is of course something I sometimes need a "shove" in the right direction with. I finished reading this book, feeling more relaxed and at ease with myself and others around me. Simple, genuine happiness, and warmth is what you will get from this book. It is inspiring, as though the author is your mentor himself! You will get to know him as a person throughout this book, and I promise you will learn something or at least have something reaffirmed. I would personally recommend this book to everybody. Whether you read it on occasion, pick out bits and pieces to assure yourself, or loan to a friend, this is well worth buying! Heroes, Mentors and Friends, can be purchased at, Balboa Press. I would love to hear any comments on this book! Who are your mentors? Heroes? Friends? What did you gain from reading this?